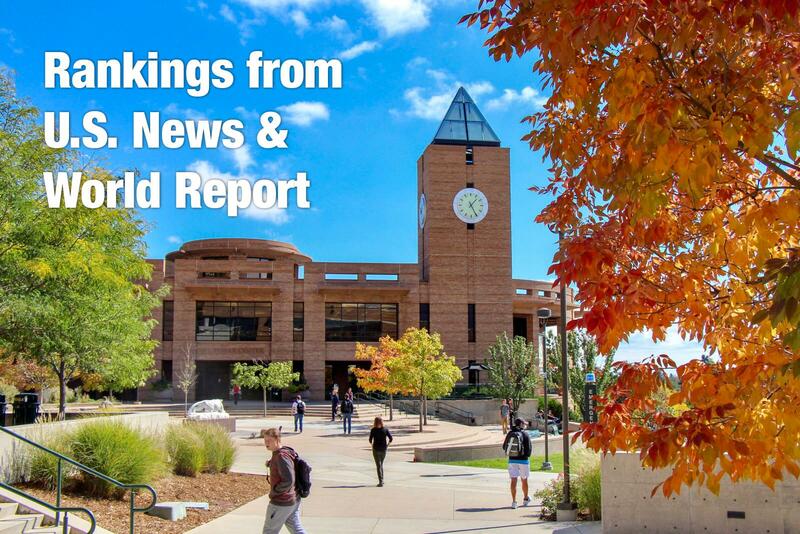 UCCS continues to rank among the top 10 public regional universities in the Western United States in the latest rankings from U.S. News & World Report. In its Best Colleges edition released Sept. 10, UCCS tied for No. 10 in public regional universities in the West and tied for No. 48 among all public and private universities. It’s the fourth straight top-10 public ranking for UCCS. The university also ranked No. 10 in best value among public universities in the West this year. UCCS ranked fifth among public institutions as the best regional college in the West for veterans and No. 26 overall. In national rankings, the UCCS undergraduate business program ranked No. 95 among public schools and No. 147 overall. The undergraduate engineering program ranked No. 99 among public schools where the highest degree is a doctorate, and No. 146 overall. Regional universities provide a full range of undergraduate majors and master’s degree programs and a few doctoral programs. National universities are the 312 institutions – 191 public, 114 private and seven for-profit institutions – that offer a wide range of undergraduate majors as well as master’s and doctoral degrees; some emphasize research. The rankings are posted at https://www.usnews.com/best-colleges. The U.S. News rankings also will be published in the “Best Colleges 2019 Guidebook,” which begins shipping Oct. 1 and will be available Oct. 16 on newsstands. Good job UCCS. I am proud to be a part of this!